A cool £1.35m could get you a popular family attraction on Dartmoor. 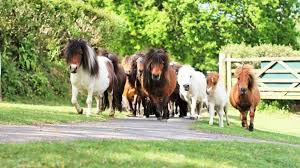 The Miniature Pony Centre near Lustleigh is for sale and best of all, the Ponies are included in the price. Full details are reported on Devon Live. If you’re not in the market, it’s still a fantastic family day out on Dartmoor. Why not plan a visit whilst holidaying at Three Pound Cottage. It’s only 7 miles from our self-catering cottage.